Deanna Shrodes: Facebook Friend or Fiend? 5 Ways You Might Be Sabotaging Yourself! 5 Ways You Might Be Sabotaging Yourself! I've been wanting to write about this for a while and there's never a good time. The reason for this is that every single day one of the 1,326 people on my Facebook friends list is guilty of this behavior. And I know when I call it out, at least one of those 1,326 people will take it personally. I'll probably get an e-mail or a vaguebook slam from somebody who doesn't have the character to face their issues instead of Facebook them. So I let it go. But today I woke up saying, "I'm going to address this today and let the chips fall where they may." I'm calling these behaviors out that cause many to think you're a Facebook fiend rather than a Facebook friend. In case you don't know what this is, read my two posts on it here and here. These posts got more feedback on my Facebook, Twitter and private inbox than possibly any other posts I've written. It appears that the majority of people apparently hate this and distance themselves from people who do it. Most people who do it think they have a really good reason for vaguebooking, but in truth 99.9% of things are not vague-book worthy. If you're smart you'll avoid it. It's so cowardly. I'm going to put it to you straight here: When you have a habit of vaguebooking, people think you are emotionally unstable. They cringe that you are putting this whiney drivel out there for all the world to read. Everybody won't tell you the truth on this, but I will. The fact is, when you vaguebook repeatedly, nobody is thinking, "Wow this is a really respected person who I need to connect with..." They are thinking, "Wow...I hope she gets some help soon. She's really melting down." 2) Trying to control others response time. This is one of my personal pet peeves. I receive between 100-300 emails or Facebook messages a day between all my accounts. I try to answer them in 24 hours, and occasionally it takes a day or two more if it's really backed up. And, on my day off, (Friday) I have the goal of taking a break from mail until Saturday. So here's what happens. Somebody sends me a private message on Facebook and it has not been answered yet. While waiting, they notice I am on Facebook. They see I have commented on somebody else's page or that I have left a status update on my own page. They think, "she is on Facebook, however she has not answered my message." Translation: "I should be THE most important person in her world right now. What about this doesn't she understand?" So, next comes the public Facebook post on my page, "I sent a message to your inbox. Please read it now!" If the private message they are trying to force me to answer immediately is a request for me to do something to help them, I'm already pre-disposed to say no. I am not drawn to help a person who is disrespectful. Understand that I love helping people. In fact, my day is not made complete unless I have helped people! However, I am not inclined to help a person who is publicly attempting to control me. Most people don't want to help someone who is trying to control them. So stop. Note: the exception to this would be if it has been a while and they are wondering if a message has been lost or not delivered by Facebook. Occasionally computer glitches happen. I understand that. Most of the time though, this happens within a few hours of a person sending a message. It's completely inappropriate. Here's how this works. Perhaps an evangelist or missionary has written me privately or called and asked if they can have opportunity to speak at the church on Sunday, January 20. I let them know that we're not sure of our schedule yet for that time, or if we will have an opening, but I'll get back to them as soon as we're able to make a decision. Two weeks later, they publicly post on my page: "Hey Pastor Deanna! I trust God is moving mightily at Celebration! Have you made the decision as to whether you're going to have me come and preach on January 20? I really believe God is in this!" I don't care if the Holy Ghost himself came and spoke to you in your bedroom last night or gave you a message through your piece of toast this morning that strangely came out in the shape of the Virgin Mary. Call you out on it. Not respond in a favorable way to your original request. What should a person in this situation do if they are following up on a prior request? Send a private communication. Develop an understanding of what is appropriate publicly and privately. People are always sending me CD's, books and DVD's to review. Every pastor gets these. There's little time to review all of them, but I make time whenever I can. The other day somebody posted on my wall, "HAVE YOU VIEWED MY DVD YET? PLEASE DO ASAP." Sorry hon, I don't remember God putting you in charge of my initiative list. I have a huge stack of things to review and sadly this one will probably stay at the bottom of the pile simply for the reason that I'm irritated with your total lack of respect for my time, and your attempt to put something on my to-do list, publicly. This is another issue that I posted about that got a ton of feedback. People hate thread hijacking, so please control yourself. Resist the temptation to write about your personal need, no matter how great it is, on a person's status or thread that has absolutely nothing to do with the subject at hand. It doesn't matter whether you're talking about a heart attack or lost souls in Guatemala. Nobody has any sympathy for you when you hijack a thread. They just think you are social media clueless and rude. Even worse is if you write the whole thing in ALL CAPS. Nothing worse than SHOUTING TO EVERYONE ABOUT SOMETHING THAT HAS NOTHING TO DO WITH WHAT EVERYONE ELSE IS TALKING ABOUT!!! Out of personal principle, I never, ever help a hijacker. If you want to know what I mean by that, go and read the post to see how people typically offend this way. I don't really care if they are trying to raise money for their first-born who has just been kidnapped. If they are so disrespectful as to hijack a comment thread, I'm not on board. 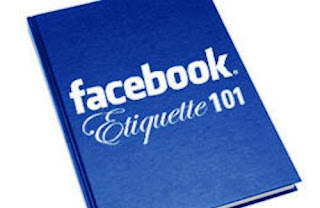 Okay folks, there you have it...5 very lame ways to Facebook and as a courtesy, I have the guts to tell you so that you don't lose any more valuable connections. Exhibiting these behaviors will cause respectable Facebookers to distance themselves from you, and maybe even press the hide or delete button if you get too irritating. I use Facebook in all of my jobs (pastoring, coaching, writing, speaking) every single day. It's probably my #1 tool to stay connected to people and I have made more business deals and ministry connections there than all my other social media outlets combined. But it's only a valuable tool when used properly. Be a friend, not a fiend. It works so much better if you're trying to make valuable connections on Facebook.